And with that, the I.D. 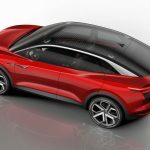 CROZZ concept was unveiled – following Matthias Muller’s announcement that 80 new electrified Volkswagen Group vehicles will be on sale by 2025, with the company investing €50 billion in battery technology. The new I.D. 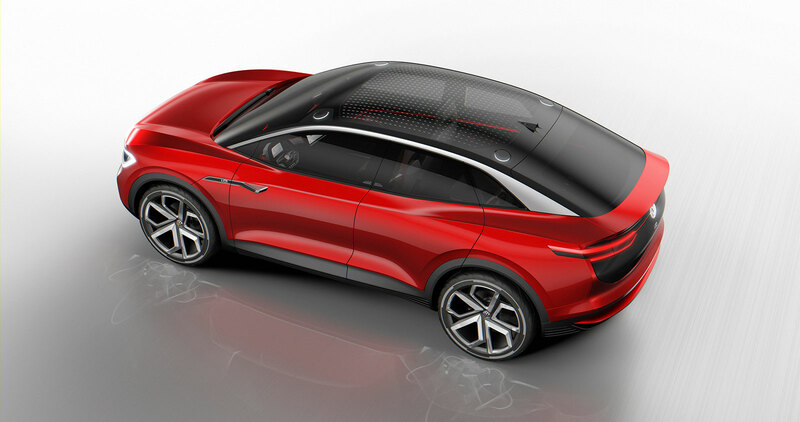 CROZZ is a crossover of an SUV and a four-door coupé, the company says, which has been further improved towards a production implementation. 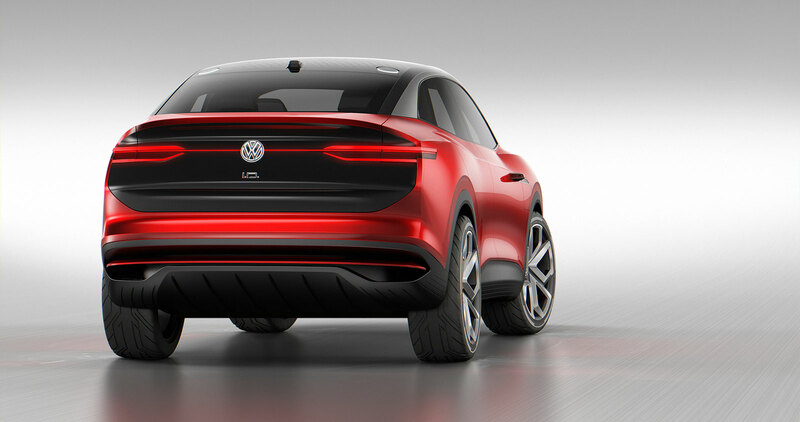 This can be seen, for instance, in various design changes to the front and rear ends of the concept car that is painted in ‘Hibiscus Red Metallic’. 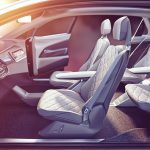 A new CleanAir system has been developed by Volkswagen, in a clear sign that the brand wants to improve upon its image and rebuild its brand after the Dieselgate fiasco. A menu provides information on the quality of air in the car and on the system’s current activity. In addition, the updated I.D. CROZZ is equipped with a new voice assistant, which enables opening and closing of the doors via voice command. It is also possible to activate or deactivate the fully automated driving mode ‘I.D. Pilot’ by voice instruction, the company said in the official press release. The I.D. CROZZ has been designed to be combination of sports styling with zero-emission all-round capability. The electric 4MOTION all-wheel drive system consists one electric motor on the front axle and one at the rear, with torque distribution controlled by an ‘electric propshaft’. 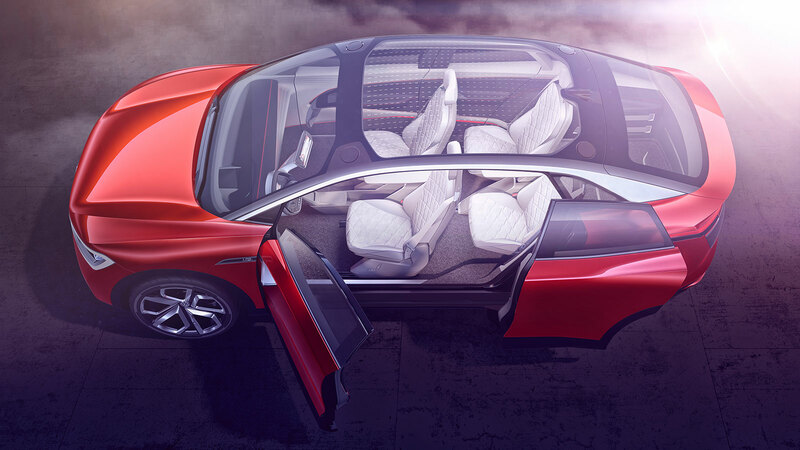 An NEDC driving range is estimated as 300 miles (500km) from a single battery charge, while power output from the motors is 225 kW (system power) providing a top speed of 111mph (180 km/h). 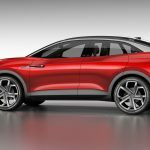 The battery is said to recharge to 80% in 30 minutes using fast-charging – likely CCS. 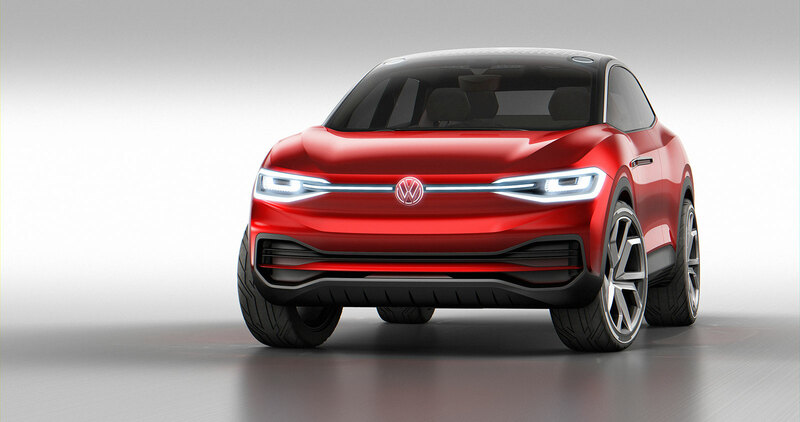 Thanks to an evenly distributed weight (a motor at each end with a battery in the middle), Volkswagen say the I.D. CROZZ handles on a par with the Volkswagen Golf GTI. Helping achieve this, the running gear has electronically controlled dampers, a new multi-link rear suspension design and also newly developed MacPherson struts. 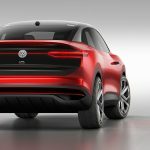 In 2020, Volkswagen has already announced the launch of the compact, all-electric, four-door I.D. 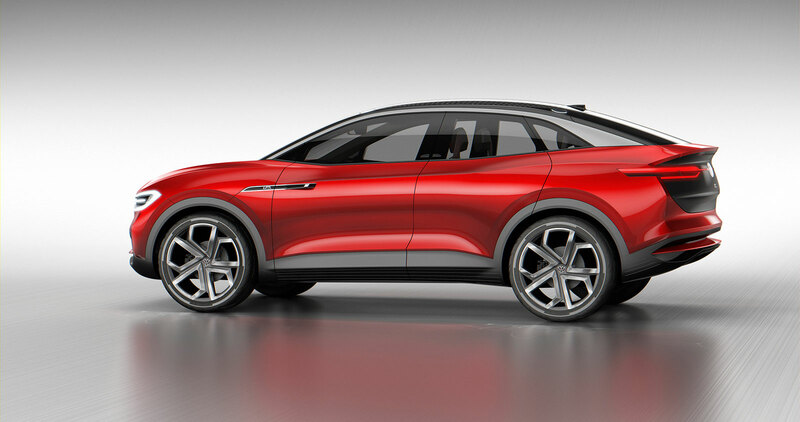 in the C segment, while launching the modern I.D. CROZZ in the SUV segment. In addition, the I.D. BUZZ sports van will enter the market in 2022. All three I.D. 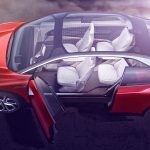 concept cars share the new ‘all-electric architecture’ that was developed as a common platform. 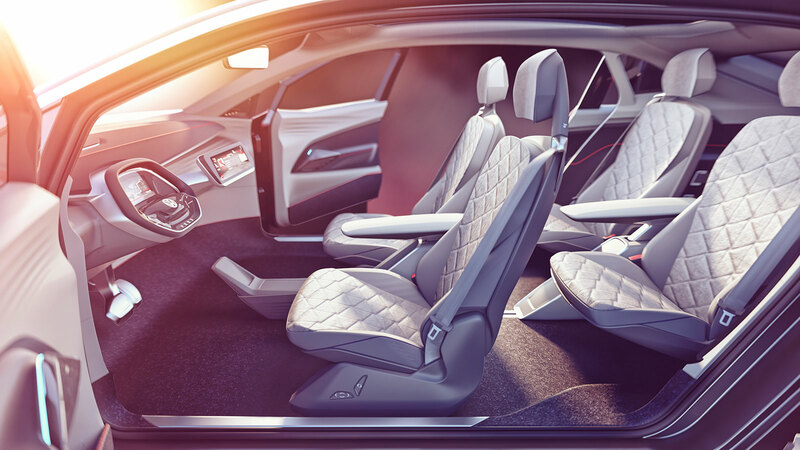 In addition, the new ‘vw.OS’ operating system, which enables software updates and upgrades, will support each I.D. 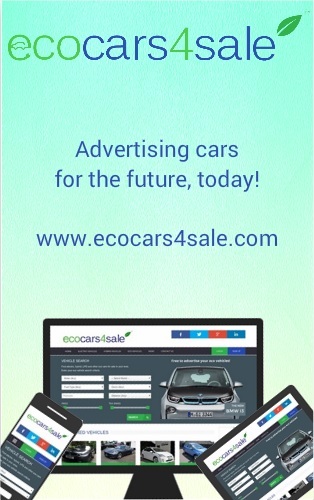 vehicle, which the company says is similar in approach to that taken by smartphone makers.